An excellent documentary. I learned so much about the meaning of Everest for the Sherpas and the culture and fascination surrounding it and its history. The story is very moving and, at times, provocative. The way that the movie has been constructed from many hours of footage collected at the time is very impressive. 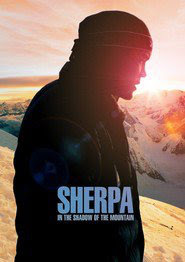 If you are interested in Everest -- it's culture and history and, in particular, what this means for the Sherpas, it is worth a trip to see at the cinema.